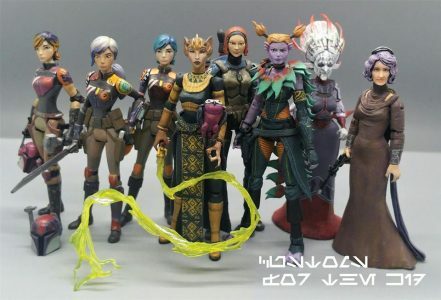 Interested in some unique Star Wars swag? 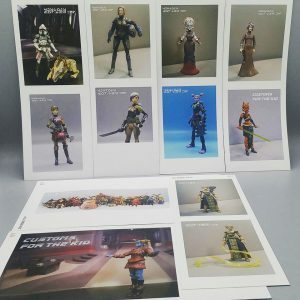 Well we are having a giveaway to wrangle up some votes for Elias Fulton in Toy News International’s 2018 Toy Awards where he is in the running for “Action Figure Customizer of the Year” so we made some nice vinyl stickers of his best pieces this year, as well as some of our favorites of his to give something back to our fans. In the link below, just register, place your vote for Elias, and leave a comment on the voting page letting everyone know why you voted for him before February 3rd. One commenter will be picked at random to receive the prize. If you already commented you are already entered. If you already voted, just leave a comment to be entered! Get the provided link faster by clicking the link in our bio. Note: “Optimus Prime” is the answer to the question in registration about “who is the leader of the Autobots”. Once registration is complete, confirm your email address in your inbox from the address you registered with and make your vote count.